In last month’s post “Stuck on Standards?” I highlighted two examples of how to implement the AASL Standard Framework for Learners. In both examples, I utilized the same lesson and standard frameworks, scaffolding each for different grade levels. Scaffolding is one way the standards can be interpreted and implemented. But, what’s the school librarian’s role in the learning process? 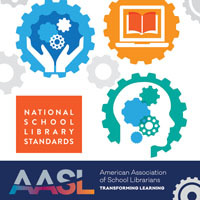 The AASL Standard Frameworks for School Librarians provides a structure for school librarians to follow when implementing the learner standards. In the first example, students research animals and create a product to display their learning. The activity was scaffolded for kindergarten, third grade, and eighth grades. The research process and products vary in difficulty depending on the grade level; however, the learner frameworks remain the same. Kindergarten: Students create a K-W-L chart listing questions they have about deer. The school librarian reads a book about deer, and students explore with guidance an informational website about animals, specifically deer. Students will return to collaboratively complete the K-W-L chart, possibly generating new questions for further investigation. Third grade: Students complete a graphic organizer for independent research about an animal of choice. After students have collected information, they create a poster about their animal and then sort their animals according to natural habitats. Classmates may post questions on animal posters for the creator to answer or further personal research. Eighth grade: After a science unit on the classification of animals, students are assigned to an animal kingdom. Each member of the group chooses an animal to research. Group members report back to each other after compiling information. Each group designs a presentation of the kingdom’s characteristics and provides examples of the animals they have researched. Group presentations are shared on the classroom website. 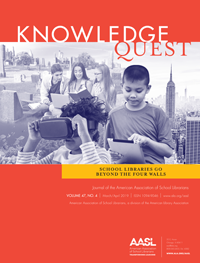 For school librarians, the AASL Standards can be applied similarly. In this case, standards that support learners during their research process and development of a product. The second example provided in “Stuck on Standards?” begins with students having prior knowledge of their research topic. Since students have some prior knowledge, they begin by filling in gaps in their knowledge base while researching. First grade: After learning about their own state’s symbols, students work in small groups with guidance to complete a graphic organizer about a neighboring state. The groups use library books and a digital resource (such as an online encyclopedia, grade-appropriate database). Students share what they have learned, including their sources, about each state and post their graphic organizers in the hallway for other classes to view. Fourth grade: Students use a checklist to research an assigned state. A resource choice board has been provided by the teacher to include print and digital sources. As students locate information to complete the checklist, they organize it on a digital table. After all information has been collected, students create a digital poster or infographic. Products can be posted to a classroom website or blog. Students generate a QR code to their infographic to share with the learning community. Ninth grade: As students research and learn about their state’s population and demographics, the class produces a population and demographic chart. Afterward, the students choose a state by elimination (so that no state is chosen twice within a class period). Students research the population and demographics of their particular state, and then they create a chart. Students are in pairs to compare and contrast the population and demographics of their set of states. 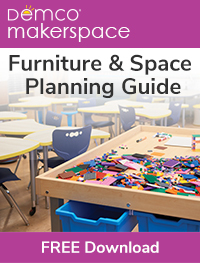 As with any set of guiding frameworks, various standards can be applied depending on the lesson, activity, materials, grade level, and a unique set of students. For more resources, visit the AASL Standards website. The videos outlining each Shared Foundation provide an excellent overview of the flexibility of the standard frameworks.